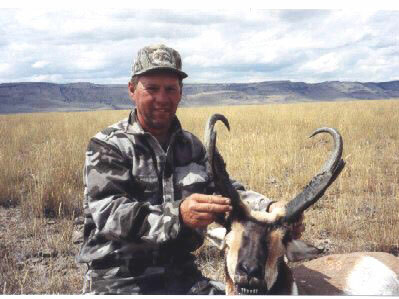 The #2 Oregon antelope, shot in 1999 by Walt Kight in Eastern Oregon. B & C score of 88 net. Horns were 17 inches in length with 7 1/2 inch bases, 13 inch tip-to-tip. Kight used a rifle to drop the buck at 350 yards.